Where can a graduate degree from the University of Illinois take you? In this series, we catch up with one recent Graduate College alum and ask the question: “Where are they now?”. Shantel Martinez graduated from the University of Illinois with a Ph.D. in Communications & Media from the Institute of Communications Research in 2016 after earning an Ed.M. in Educational Policy Studies in 2011. She currently works as the Assistant Director of the Otter Cross Cultural Center at California State University, Monterey Bay where she oversees the daily operations of the center. This article is the first of a two-part series on students’ involvement in music and performances organized at the University of Illinois, Urbana-Champaign campus. (Read the second part of the series here). The Krannert Center for the Performing Arts is a hub for exquisite music, cultural performances, ballet performances, theater, opera and lively events. From performances by musical virtuosos, symphony orchestras, ensemble groups to events like PechaKucha Night and Noche de Baila- Krannert is bustling with performers and audience goers year-round! The Lyric Theater at Krannert brings colorful and vibrant pieces of opera from throughout the ages alive to the audience! In his newest article on Inside Higher Education, Director of Career Services, Derek Attig, gives his tips for staying organized on the job search. Funding is one of the biggest factors in determining what kind of financial decisions you make as a graduate student. Taking on federal student loans, using your employment to fund your degree, using your savings, getting help from family members, etc. We all want to make decisions that will benefit us most - and while the above are all good options depending on your individual situation, nothing beats “free money” like fellowships, assistantships, grants and scholarships. As a former fourth time Foreign Language and Areas Studies (FLAS) Fellowship recipient, current Illinois Distinguished Fellow, and Graduate Assistant, I have searched and applied for many funding opportunities during my college career. It is a long but worthy process. Below are six tips on how to find and secure funding. Katherine Hatcher founded her blog and Instagram accout, "Grad Self-Care" in October 2018 as a way to share her story about health and wellness in graduate school. Through it, she connected with countless other graduate students from around the country who are working to find their own meaning of work-life balance. In her first post for the GradLIFE blog, Katherine shares with us her monthly wellness routine and tips for setting up and sticking to your own. Graduate school is one of the most important investments in your future you can make, To ensure that you invest wisely, it's essential thatyou identify your main expenses, as well as develop a funding plan and a budget. Think of this as planting the seeds for a successful financial future in graduate school. It’s important to start thinking about these financial questions early and to seek out University resources that can help answer your questions. A close call with a tropical cyclone as a child led Daniel Harnos to become fascinated with the weather. This led him to earn degrees in Atmospheric Sciences from the University of Illinois in 2010 (MS) and 2014 (PhD). Now, he works as Meteorologist at the National Oceanic and Atmospheric Administration (NOAA)'s Climate Prediction Center where he helps others prepare for weather and climate changes by delivering real-time meteorological information and forecasts. In this special "Meet Our Fellows" post, SAGE member Meera interviews Busra Karagobek, a PhD student from Turkey, who is currently studying at the University of Illinois under a Fulbright Scholarship. Let's meet Busra! I’ve tried to start this blog post a dozen times, but every time, I get bogged down in the introduction. The thing is, for a lot of reasons and for a lot of people, it can be hard to talk about mental health. And that’s a problem because mental health is vital to our overall health and well-being as graduate students and people. But not talking about mental health can be incredibly isolating. This is especially the case when you are a graduate students experiencing severe anxiety, depression, or suicide ideation. It’s easy to feel like you are alone and no one is going to be able to understand what you are going through or be able to help you through to the other side. Let me start by saying, unequivocally, you are not alone. I know this because I’ve been there. With a lot of support and encouragement in the last year, I found helpful, supportive faces at the Counseling Center and at McKinley Health Center. These are just two of the resources available to you as a graduate student at Illinois, and for a lot of students, they are a good first step in the path to addressing and managing mental health problems and coping with the stress of life. 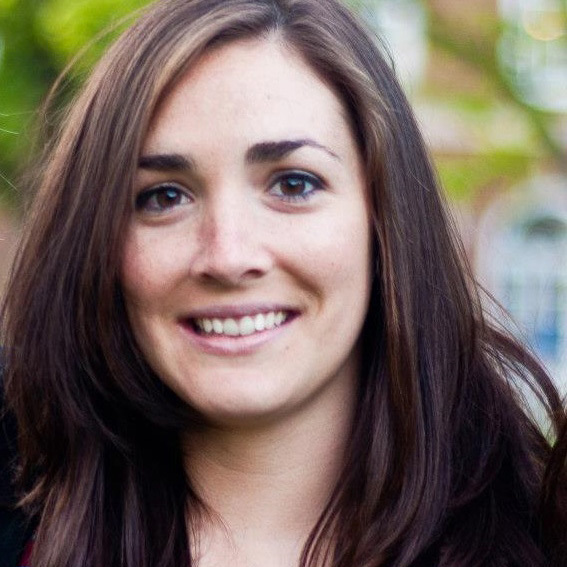 Karen Barton graduated from the University of Illinois in 2013 with an M.S. in Library and Information Science and certificates in Community Informatics and Youth Services. She currently works at the University of Texas Health Science Center at San Antonio (UT Health San Antonio), where she is the Liaison to the School of Health Professions and Community Engagement Librarian. Karen is the single point of contact for library services for students, faculty, and staff for one of five schools within the institution and works on various campus and community engagement initiatives to promote library resources and services in support of education, research, and community health. We landed in Bangalore International Airport after a journey of about 20 hours then took a bus for 6.5 hours to reach our destination: Shimoga - the original site of Kyasanur Forest Disease (KFD) and the topic of my dissertation. Shimoga is part of the Malenadu region which means ‘heavy rainfall’ region in Kannada, which is the local language. The landscape of Shimoga is interesting; it is crisscrossed with tons of paddy fields, coconut trees, areca, paper and rubber plantations. Nestled in the Western Ghats of India, Shimoga is the district headquarter and our primary location for research on the epidemiology of KFD, a highly infectious disease system transmitted by ticks in India. You just finished a job interview. Moments ago, you hung up the phone or arrived back at your hotel room. What should you do next? In his most recent article for Inside Higher Ed, Derek Attig talks about things you can do in just 15 to 30 minutes to set yourself up for success in the next stages of the hiring process and beyond. This advice applies to any kind of job search -- whether in or outside academe. Geethika Yalamanchili graduated with a PhD in Chemical Engineering in December 2017 and now works at Ancestry DNA as a Computational Research Biologist and Research Scientist. Her work takes her back-and-forth between Salt Lake City and San Francisco where she completes research and brainstorms ideas and project with other scientists. More specifically, she studies the unique genetic code of human beings to understand what makes them similar and at the same time so very different from each other. By starting a graduate program at the University of Illinois, you have joined a large, vibrant community of people committed to exploring and understanding the world. You’re surrounded every day by tens of thousands of fascinating, dedicated, and creative people. Within such a large and dynamic community, though, it can sometimes be challenging to connect with others. You may be wondering how to find those connections and build relationships with people around you. Good news, though: everyone else is wondering the same thing. Ford Fellow Safiyah Muhammad says that she learned to teach from the best – her mom. Her mother homeschooled her before she was old enough to enroll in kindergarten and served as her fourth grade teacher as well. “She never limited me in what I could do. She never told me I was too young. She was my very first and obviously most impactful teacher,” Safiyah said. With the help of the Ford Fellowship, she hopes to channel that feeling into her work as a researcher, teacher, and scholar at Illinois. Laura Adamovicz is hard at work saving the world — one turtle at a time. Last year Laura, a PhD candidate in Comparative Biosciences, won first place in Research Live! — a competition that challenges graduate students to describe their work in three minutes or less. In her talk, titled “Turtles in Trouble: Applications of Health Assessment for Conservation,” Laura explained how her work combines math, science, and medicine to study the impact of the environment and infectious diseases on several box turtle populations, with the ultimate goal of improving conservation efforts in animal species. We checked in with Laura (who will serve as a judge at this year’s competition) to hear about why she decided to participate in Research Live! and to see where her research and fieldwork has taken her this past year. Irisbel Guzman Sanchez graduated from the University of Illinois in 2015 with a PhD in Biochemistry. After graduation, she became a Presidential Management Fellow which led to a full-time position in Health Informatics for the United States Department of Veteran’s Affairs (VA). She is currently a Health Science Specialist for the VA New England Healthcare System, where she analyzes data and develops new tools for decision-makers to better understand operational healthcare databases and analyses. This is a question graduate students hear frequently—whether from scholars in their field, people in an elevator, or family members. And while at first the answer might seem simple—it’s what you do every day, after all—finding ways to frame and explain your work to others can be a challenge. Thinking about your answer to this question is important since there are many situations when you might need to answer it: applying for fellowships or funding to support your work, job interviews or networking events, interviews with the media, or discussions with political leaders regarding policy. And recently, several UI students found themselves confronted with this question when former President Obama made an impromptu coffeehouse stop during his visit to campus! Below are some tips for talking about your work to help you prepare no matter the situation. 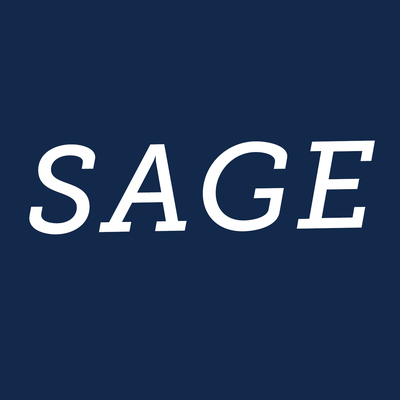 Students Advising on Graduate Education (SAGE) is a student advisory board and leadership opportunity for graduate students at Illinois that fosters active engagement with Graduate College programs and initiatives. SAGE board members enrich graduate student community, build leadership and administrative skills, and strengthen Graduate College services and programs. This board contributes to the graduate student community at Illinois by providing varied perspectives that enhance the academic, professional, and social experience of graduate students at the university and collaborating with Graduate College staff on a project related to a program, initiative, or the broader goals of the college. Lexi Shurilla graduated from the University of Illinois in 2015 with an M.S. in Recreation, Sport, and Tourism with a Sport Management focus. She currently works for AmPride Communications, Inc. as the Editor-in-Chief of Community Concierge Magazine (CCM), a quarterly magazine featuring the best of the Champaign-Urbana community. She is responsible for the content and quality of CCM by ensuring stories are accurate, engaging and informative. My name is Liselle and I am a second year PhD student in the Department of Recreation, Sport, and Tourism. My research interest is on film-tourism, specifically looking at sites of imagination (think Harry Potter World and Hogwarts! ), in order to investigate culture, commodification, and meaning. This summer, I'm preparing for prelims and wrestling with big ideas related to theory and methodology for my work. It feels like everday I read something inspiring and thought-provoking! In my department, the Prelim exam takes place before you can begin work on your dissertation proposal. I’m planning to take my prelim exam this fall, so I’m dedicating my summer to preparing for the exam. Here’s a look at a pretty typical day of prelim prep for this social sciences PhD student! Reviewing advertisements of all sorts can help you identify appealing job types and sectors that you may never even have heard of, advises Derek Attig in this post originally published on Inside Higher Ed. Adam Brandt graduated from the University of Illinois in 2014 with his PhD in Animal Sciences. With his love for teaching and research (some of his studies have focused on African elephants and the Hispanolan solenodon), a university job fit his career goals perfectly. Now, as an Assistant Professor of Biology at St. Norbert College (De Pere, Wisconsin), he teaches a variety of undergraduate courses including general biology, animal behavior, disease ecology, and African wildlife conservation & health, and conducts research in the field of molecular ecology. When she finishes her degree at Illinois, Nubras Samayeen may be the first woman in Bangladesh to hold a PhD in Landscape Architecture. This is the realization of a goal she's had since she was a child and is, in no small part, something she's doing for her own two young daughters and for other Bangladeshi women who, like her, have unconventional dreams. Here’s her story. Morgan (McClain-McKinney) Limo graduated from the University of Illinois in 2011 with an M. A. in Political Science. Roughly a day after walking across the stage in her cap and gown, she was on a plane bound for Washington, DC to pursue her dream of a government position. Now, she works as a Foreign Service Officer at the US Agency for International Development (USAID) and is based in Conakry, Guinea where she supports strategic planning, budget, and communications for a variety of sustainable development and post-Ebola recovery programs. Last April, after nearly a yearlong process and an arduous wait, Matthew Haugen was notified that he had been awarded a Fulbright Fellowship, which would allow him the opportunity to complete his dissertation research project studying sport education in China. 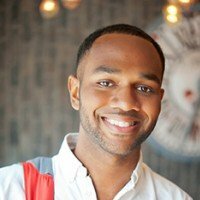 His fellowship experience ultimately encouraged him to pivot his dissertation research project to better represent and inform the future he sees for himself as a scholar. It might surprise you if I were to share that first as an MA student and now as a PhD student in English (Literature emphasis) here at the University of Illinois, Urbana-Champaign, I have accumulated several 9 x 12 or 8.5 x 11 spiral-bound sketchbooks and that they have played a central role in helping me discover an effective writing process. So too have I used up the last drops of ink in a fair number of colorful pens and markers when writing across these surfaces. Thinking and writing for me, then, are inextricably linked in a visual and tactile process. Where can a graduate degree from the University of Illinois take you? In this monthly series, we catch up with one recent Graduate College alum and ask the question: “Where are they now?”. Amber Hendricks graduated from the Illinois Professional Science Master’s Program in 2011 with a master’s degree in Agricultural Production. She has held multiple research positions in the agricultural industry and currently works for Corteva Agriscience™, Agriculture Division of DowDuPont™ as a Production Research Scientist at the Johnston, Iowa campus. In her role, she uses data to inform decision-makers on best practices for improving corn seed quality and cornfield yields. Conference presentations are a curious genre. While they can draw from seminar papers, lab reports, and/or research proposals, moving from a written text to a spoken one—and delivering your work—can present a range of unique challenges. Below are some tips and tricks that can help you get in the mindset of giving a conference talk, especially if you’re new to sharing your work in this way. Matthew Klopfenstein has spend the last seven months deep in the world of Russian archives exploring how the deaths of female pop stars in the early 1900s entered the public realm and became national phenomena. Read about Matthew's day to day life as a Fulbright Fellow living in Moscow, Russia. Ryan McConnell works at salesforce as a Senior Demo Engineer, writing code for applications that show off what the company’s software can do. After completing his PhD in Classical Philology, Ryan McConnell eagerly began work as a visiting assistant professor. But with the uncertainty of the faculty job market, Ryan began exploring new career paths and found that his hobby in computer programming could actually be a career. Stephanie Brown always thought she’d go back to grad school to get her PhD “eventually,” the winner of the 2018 Graduate Student Leadership Award said. But a few years working in the entertainment industry in LA and New York convinced her that the time was right. It would be several years until the #MeToo sexual assault awareness campaign took off in late 2017, but for Stephanie, enough was enough. 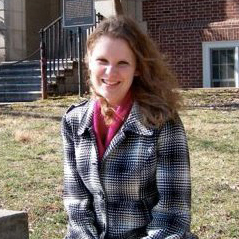 Stephanie is a PhD candidate in the Institute of Communications Research at Illinois. This semester, she’s wrapping up her dissertation and plans to defend this summer. When she’s not exploring issues of gender in comedy for her research, she’s living them. Stephanie founded and runs Broad Comedy, a local comedy group in Champaign-Urbana that is dedicated to diversifying voices in the local stand-up comedy scene. It’s February and your New Year’s resolutions have started to become habit… or fallen by the wayside. Fortunately, there’s still 11 months in the year to make your thesis a priority. The start of the new year and the new semester is a great time to think about what direction you would like your thesis work to go and to make plans accordingly. Below are five tips to help you set (and stick with) thesis-writing goals. During open hours, the Scholarly Commons provides the technology and digital scholarship expertise you need to succeed in your research. We’re also a quiet comfortable study space where you can sip your coffee and use software like STATA, Photoshop, and SAS. Come to our workshops during the school year and go from Regular Boring Researcher to Savvy Researcher. When writing a thesis, most students are focused on the content – and rightfully so! You want to make sure chapters are well researched and well written, the citations are placed correctly, and all of the data is recorded and analyzed. Formatting is probably one of the last things you think of. But paying careful attention to the overall look of your work is a key element to creating a polished and professional-looking thesis. The Graduate College Thesis Office is here to help! What Can I Do with a PhD in the Humanities? It’s well-known that academic jobs are in short supply for humanities PhD graduates right now, but the question ‘what can I do with a PhD in the humanities?’ should have less to do with a lack of academic positions than it should the sheer number of career possibilities. That was the focus of ‘What Can I Do with a PhD in the Humanities?’, a 5-week Graduate College workshop run by Derek Attig that I attended last Spring. The workshop covered advice and resources for finding jobs beyond academia, weekly conversations with humanities PhD graduates working in fields like public radio to environmental advocacy, and self-assessments of values and skills. The self-assessments were particularly illuminating, and they allowed each of us to approach the broader workshop questions with a focus on our own goals and interests. As we embark on a new academic year, we are excited to introduce our 2017 – 2018 SAGE board! If you’re applying for graduate research fellowships and grants, you will likely find something along these lines in the application instructions. These letters are absolutely critical to the success of your application, yet you have no control over them — or do you? There is no “one-size-fits-all” set of guidelines on this topic. Letters of reference are by their very nature highly personal. Ways of building relationships will also vary according to discipline, the nature of the research, and the applicant’s career goal. That’s why it’s essential to get advice from your advisor and talk with other students in your program about their own successful strategies. However, there are a few overarching points to consider. Where can a graduate degree from the University of Illinois take you? In this monthly series, we catch up with one recent Graduate College alum and ask the question: "Where are they now?". In June, I had the distinct privilege of representing the University of Illinois, Urbana-Champaign (UIUC) at the 2017 U.S. Borlaug Summer Institute on Global Food Security. Led by Purdue University’s Center for Global Food Security, the 2017 Summer Institute provided 40 of the top graduate students from across the nation with an intensive introduction to global food security, with special emphasis on the utility of multidisciplinary teams and complex problem solving of real-world challenges. To increase diversity in higher education, the Ford Foundation offers predoctoral, dissertation, and postdoctoral fellowships. The goal is three-fold – increasing university’s ethnic and racial diversity, maximizing the educational benefits of diversity, and increasing the number of professors who use diversity as a resource for enriching the education of all students. We talked to three University of Illinois graduate students from across campus who received a Ford Fellowship to learn more about the program. Where can a graduate degree from the University of Illinois take you? In this monthly series, we catch up with one recent Graduate College alum and ask the question: "Where are they now?". Madeline Meyer graduated from the University of Illinois Professional Science Master's Program in December 2014 with a master’s degree in Food Science and Human Nutrition. Now, she works for Becton, Dickinson and Company (BD) as a Regulatory Affairs Associate where she supports domestic life cycle management initiatives for the Infection Prevention business unit, including performing regulatory assessments and submitting new drug application supplements to the Food and Drug Administration (FDA). Are you thinking of applying for an external fellowship or grant this fall? If so, summer is a great time to strengthen your application’s foundation. There are many things you can do over the summer to give yourself an all-important competitive edge. When Emily began working at the Graduate College, she had just taken her final exam and was revising her dissertation. This task coupled with working full-time ended up being much more stressful than she could have imagined. Little did she know that Coble Hall is full of talented individuals who knew first-hand the struggles of completing a thesis and were happy to share their stories and advice. Read on for some of the feedback she found helpful! In an earlier blog post, I wrote about the proposal as a genre — the story of your journey into uncharted intellectual territory, driven by a vision of your contribution to your discipline and beyond. Your reviewers are excited! They want to help you complete your journey! But, they want some details. The proposal is the roadmap you provide. Michael Santana was the recipient of a Ford Predoctoral Fellowship from 2013 - 2016. He graduated from Illinois in 2016 with a PhD in Mathematics. Now, he is an Assistant Professor (tenure-track) in the Department of Mathematics at Grand Valley State University, which is located in Allendale, MI. In this capacity, he is a teacher, mentor, and advisor to the students at the university and an active member of his department, college, university, and the mathematics community. “Illinois is committed to the goal of achieving diversity and excellence,” says Dr. Ellen Wang Althaus, director of Sloan University Center of Exemplary Mentoring (UCEM). The Sloan UCEM at Illinois is one of the eight centers in the country funded by the Alfred P. Sloan Foundation. With a one-million-dollar, three-year grant, the Illinois UCEM was created to broaden participation and provide support for underrepresented minority graduate students in science, technology, engineering, and math (STEM) fields. It provides activities designed to support students toward doctorate completion, such as professional development opportunities, mentoring, research opportunities, workshops, and seminars. No matter if you’re studying for exams or working on your thesis, chances are your summer reading list is full of books and articles that pertain to your research area. But why not mix things up a little by adding a few to help with your writing and research skills? Emily asked several campus experts to recommend books that could help students who are working on their theses. Their suggestions range in topic from strengthening your writing and research skills to conquering productivity to finding relaxation. Check out their suggestions! Mystery and suspense, a hero going on a quest…why am I talking about this in a blog post about proposal writing? Because when you write about your research, you’re writing a story of ideas that explores uncharted intellectual territory. As you’ve developed your skills and knowledge of the field, you’ve identified a gap in what we know and a means by which you believe you can fill it. That’s what makes proposal writing a special genre. Mariela Fernandez graduated from Illinois in 2015 with a PhD in Recreation, Sport and Tourism and a minor from the Latina/Latino Studies Program. Now, she works at Clemson University as an Assistant Professor. Her research examines why lack of access to park and recreation resources occurs in Latino communities, what the health implications of this are, and what strategies can be used to address the problem.